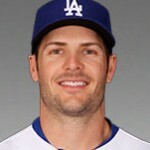 Dodgers promote Chris Heisey, designate Daniel Coulombe for assignment. SAN DIEGO — Chris Heisey was joking Sunday morning that he’s had “80 different teammates this season.” He added Alex Wood, Mat Latos, Jim Johnson, Luis Avilan, Chase Utley and Justin Ruggiano on Sunday. “Probably more like 100,” he said. 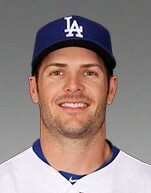 Heisey was selected to the Dodgers’ 40-man roster and is active for today’s game against the Padres. To make room for Heisey on the 40-man roster, left-handed reliever Daniel Coulombe was designated for assignment. This will be Heisey’s fifth different stint with the Dodgers this season, and his first since he was designated for assignment when the Dodgers orchestrated a three-team, 13-player trade July 30. To make room for Heisey on the 40-man roster, pitcher Daniel Coulombe was designated for assignment. Coulombe had been up and down five times this season himself. In five games with the Dodgers, all in relief, the left-hander allowed seven runs. He also made 38 appearances at Triple-A Oklahoma City this season and allowed 15 runs (a 3.27 ERA). Heisey probably wouldn’t be here if not for the hamstring injuries to Kiké Hernandez and Yasiel Puig, who might not return to the Dodgers before the playoffs begin. Coulombe was a bit more expendable in light of the success of Avilan. Including Heisey, the Dodgers will have 34 players active for today’s game. This entry was posted in JP on the Dodgers, On The Farm and tagged Chris Heisey, Daniel Coulombe, Oklahoma City by J.P. Hoornstra. Bookmark the permalink.